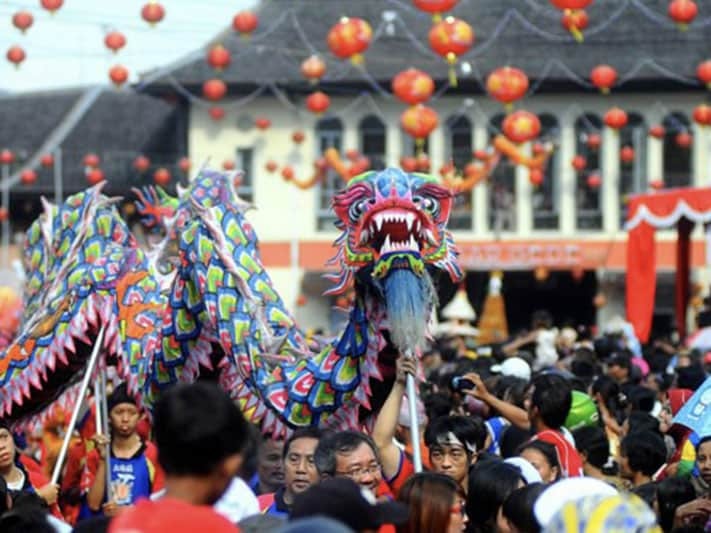 Chinese-Javanese communities in the royal city of Solo, otherwise known as Surakarta, celebrate the Chinese New Year (Imlek) with the Grebeg Sudiro carnival. The carnival showcases the acculturation between China and Java. It is usually focused around Pasar Gede. The word grebeg is a Javanese term for traditional celebration or a carnival, usually for, but not exclusive to, Islamic events, such as the commemoration of the birth of the Prophet Muhammad, the Islamic New Year, and Eid al-Adha. 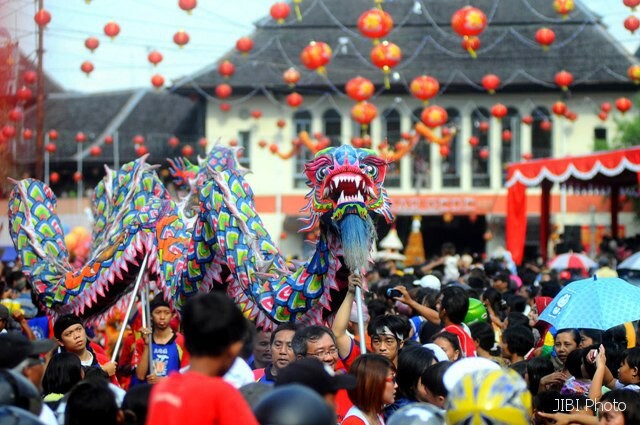 The harmony between Javanese and Chinese culture is reflected during the Grebeg Sudiro carnival. 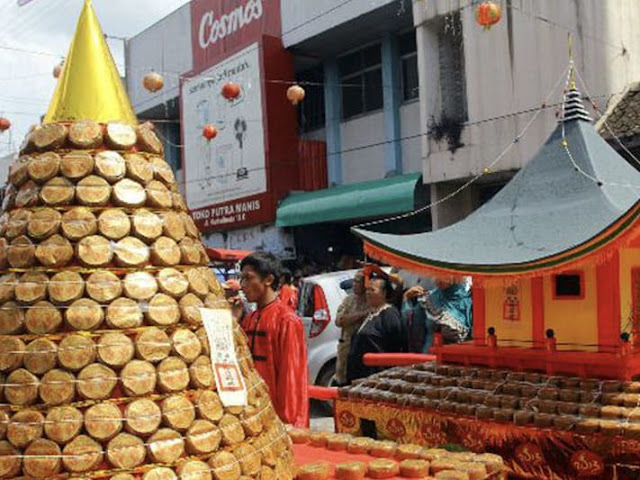 A mountain-shaped pile of offerings (gunungan) comprising of basket cakes (kue keranjang), fruits and vegetables will be paraded around Pasar Gede before being swarmed by the crowds in a matter of minutes. The crowds are encouraged to obtain the offerings as it embodies the Javanese philosophy of "ora babah ora mamah", meaning "you have to earn what you eat". The offerings also symbolize gratitude to God Almighty. The Grebeg Sudiro mountain-shaped offerings, known as gunungan, is constructed of thousands of Chinese sweet cakes known as kue keranjang. 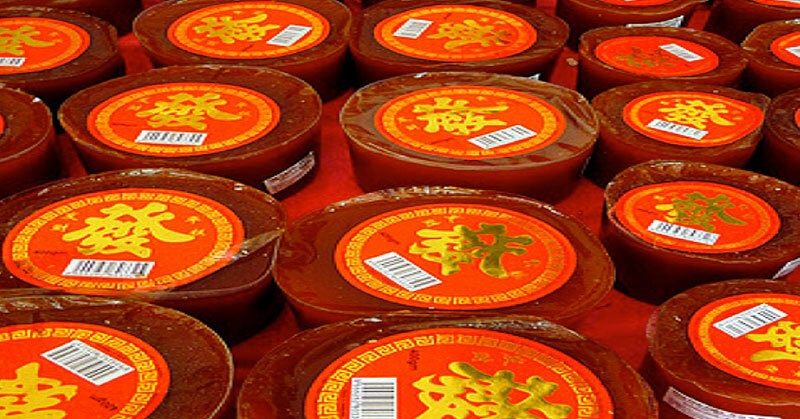 The cakes are made especially for the Lunar New Year only. The gunungan is paraded around the Sudiroprajan area, followed by Chinese and Javanese musicians and dancers in traditional costumes. At the end of the parade, a large teapot-shaped lantern on the gate of Pasar Gede is lit, and then followed by lighting up of other lanterns decorating the marketplace. 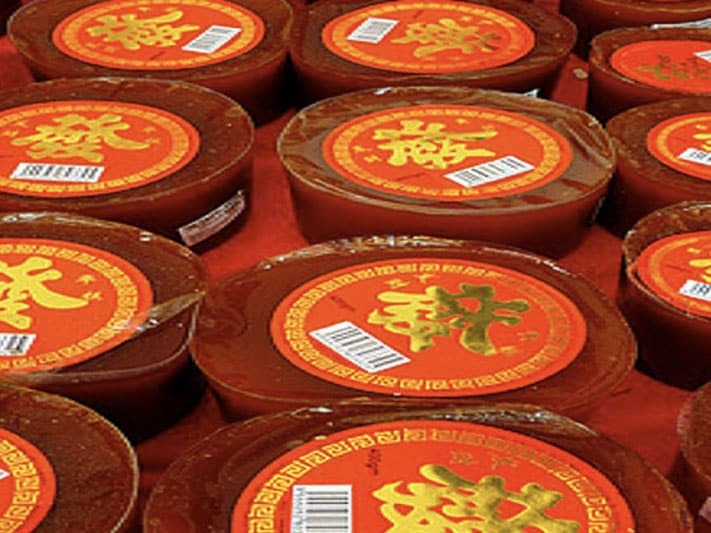 The Grebeg Sudiro shows the harmonious relationship between the Chinese and Javanese communities who live within one district, respecting each other's tradition and way of life. When preparing for Grebeg Sudiro, both ethnic groups help one another in preparing for the ritual to thank God and the universe for the blessings and bounties granted to them.